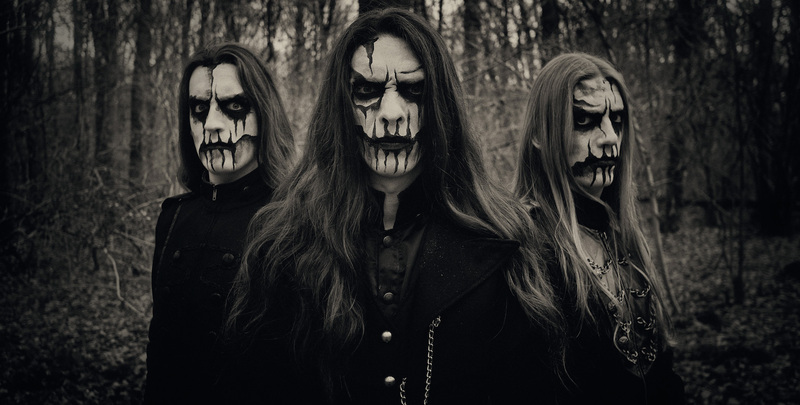 Hailing from the Netherlands, Carach Angren is a symphonic black metal band that composes each of their albums based on a storytelling concept, the concepts and stories mostly horror-inspired. The band started out in 2003 but didn’t get to tour North America until very recently, and as soon as they did the first one in 2014 as support act to Deicide, the floodgates opened for them and the response from long-awaiting fans was instantaneously tremendous. They returned in 2015 with Fleshgod Apocalypse, and just concluded two legs of North American runs in 2016, first with Rotting Christ and then with Kataklysm. As part of the first leg, Carach Angren visited the Regent in downtown Los Angeles, and our writer Jason Williams sat down with keyboardist Clemens “Ardek” Wijers for an interview. Enjoy the conversation below. This is a solid tour package, even with the Marduk fiasco and their visas unfortunately unable to allow them into the country. It’s really hard for bands to get in, it seems lately. 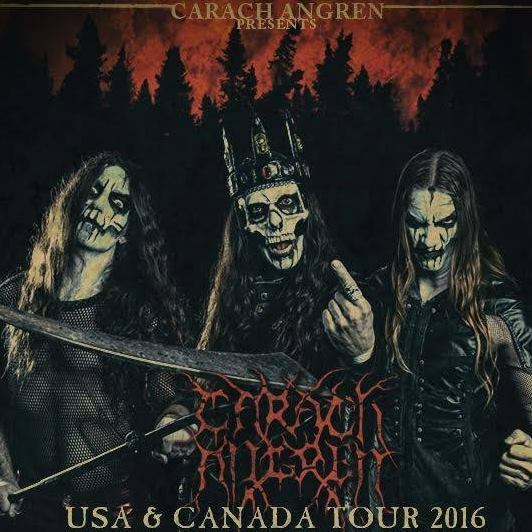 How did Carach Angren and Rotting Christ hear about the news, and what was your reaction with this sudden change in the tour? We heard right at the beginning of the tour that unfortunately Marduk had some problems coming in. I mean, I feel very bad for them because we all have been looking forward to this great package. When we heard, we tried to make the best of it, but luckily, everything worked out fine, and we could do almost all shows, as planned. We were hoping they would make it in, a week or so into the tour, but unfortunately Marduk couldn’t solve it and they had to postpone their appearance here. I hope they will make it very soon, but meanwhile, we worked hard, and played every night with Rotting Christ and Necronomicon, and it’s been awesome so far! Last November, Rotting Christ was on the tour with Mayhem and Watain, and despite being a huge name in the extreme metal community, they haven’t toured America in a while. Sakis (frontman and founder of Rotting Christ) has stated that it’s difficult for metal bands to obtain momentum here to tour successfully. I believe being on that large black metal tour was really helpful to have the masses remember them. With that being said, since the tour is changed and now Rotting Christ are headlining, Carach Angren now as main support, how have the crowd reactions, the numbers in attendance, and the overall changes for this now new tour? I think, for what I’ve seen for us, it has always been good in the US, from the very first tour with Deicide, the one with Fleshgod Apocalypse, so we have our own fan base, and they are coming out to support us, and Rotting Christ have their fan base, so what you see is that these people come together, and the turnout and everything has been great everyday. Talking about your fan base, a very loyal one at that, due to the nature of your band being something very different. Metal is like a web, in which there’s different parts of music that embody all sorts of metal, even with keyboards, flutes, pianos, violins, and other non-traditional instruments, being ‘extreme’ to the definition. 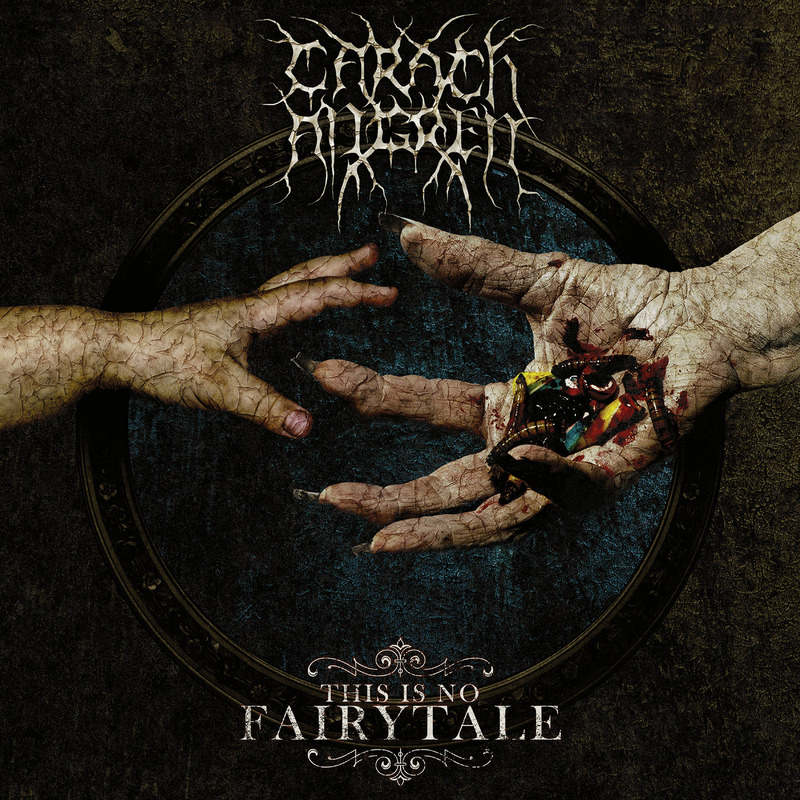 With Carach Angren, not only is there a very beautiful, compelling symphonic sound that’s really authentic, but the lyrical concept as well, with the storytelling and poetry involved,using different languages within the lyrics, to make a creative story-like concept for the band. You almost feel like you’re in a play. Talk about where those strong influences come from. Thank you, and I appreciate that you notice all of these elements we put in. But it’s exactly what you said. Storytelling. Horror story telling is our main element, which is what we’ve been doing from the very beginning. We try to do it on our albums, but we also want to do that during the shows, you know? To try to make a theatrical performance out of it. We play songs from different albums, and they’re all different stories, but we make everything blend together, in a very nice way. Because we believe people who buy a ticket with their hard earned money, they deserve more than just a band playing. They deserved to be entertained, and that’s what we love to do. Are there any influences to name, coming from authors, books, writers, or classical figures, that helped form the unique music and lyrical concept for the band? Well the funny thing is, that when we started, we started basically as a project. We had a couple of ideas lying around, and that we should release something very soon, and to not wait until we have a whole album, but to just release it as an EP. Seregor the singer and I, were always into ghost stories and stuff, so we looked around and into every source we can get our hands on. He had a big book of legends, sagas, and all sorts of other ideas. These things were with us from the beginning, but not any particular writer or so, it could be from anything. Also now on tour, we are discussing stuff all the time. Coming up with more ideas, which makes it more of a mixture of things. For example, right now I’m reading a book from Stephen King, and it’s not like I do that every week or something, you know? And when it comes to music, I listen to a lot of classical music, soundtracks, etc. and those all just kind of blend together. The anticipation surrounding the band touring the US was really exciting, the fans were waiting a really long time for it to happen. Tell me about what you expected from the fan base here, and what was the moment the band discovered that it was possible to tour here and at the very least be successful? Speaking of records, your most recent release ‘This is No Fairytale’ was released early last year. Can you discuss the lyrical concepts of this record, and is it a continuation of the previous ones? It’s a bit different, because with each release we want to do something different but not lose our unique sound that we think we developed. But also, we have grown as people, and look at different directions. The album before this one, ‘Where The Corpses Sink Forever’, was a bit adventurous, more about war, different stories melted together. And this Hansel and Gretel fairy tale thing, we’ve been thinking about for many years already, so now we thought, let’s do this. And for some reason, it turned out very dark. From the very beginning, I was making melodies and songs; and they were so dark and I was wondering what was wrong, then after I said to myself, “There’s nothing wrong. This is what it is.” We worked on it, Seregon made crazy lyrics to go along with it as well. It’s quite different from what we’ve done before. The mix was different, which was done by Peter Tagtgren, in a brilliant way. So in a way, we took some things from the early releases, but also incorporated new things. If you can ask Peter when Hypocrisy is going to come back, and let everyone know what he says, that would be awesome. It’s been many years since Hypocrisy has been around North America, and something we’re all curious about. Speaking of lyrical concept, I found out something about Kvelertak years ago. A really popular black metal/rock style band from Norway. Singer wears an owl mask in the beginning of their shows and they have 3 guitar players. The band doesn’t sing in English, only singing in their native language. And I remember many years ago regarding Dimmu Borgir, releasing ‘Enthrone Darkness Triumphant’, stating that they chose to learn English in order to venture further around the world and obtain a larger audience. With that being said, what do you believe is the barrier for languages in terms of North American audiences? Kvelertak is quite popular here and fans are learning the lyrics spoken in Norwegian tongue. And considering Carach Angren has no trouble or issue singing in all various languages to the lyrics involved. We have always tried to incorporate more languages. On the latest album, we didn’t do it, but what you see is that when you put the lyrics in German language, of course it’s going to appeal to German audiences, if done well. If you don’t do it well, people hate when they hear their own language in a bad way, of course. The band you mentioned, I haven’t heard of, but what I think is that if you have a good product, and I don’t exactly mean it in a commercial way, but if the visuals warrant, and you can reach out to people emotionally, that language becomes less important. Big example would be Rammstein, people didn’t expect them to work in the US because of the language. But people are shouting the choruses, and they musically and visually reach them. Every band should try to do that, look at your strong points, whether it’s language, something visual, the performance, of course the music too. You should try to exploit that as much as you can. And of course, we have a lot of lyrics and storytelling, so for us it’s really important to use English because a lot of people can follow it. But sometimes we like to incorporate Dutch, or French for example, when appropriate in the story. I’d like to know your opinion on the state of extreme metal bands touring here in North America, because I know that Europe is a very different threshold. The fans with their music are much more passionate, there’s less trends, more cities and support to play shows, more ways for the fans to be involved. And I feel that it’s a gamble a lot of times for bands to play in North America, as I mentioned before, that Rotting Christ has stated that last year with the tour involving Mayhem and Watain, was their first US tour in several years. The band talked about difficult the conditions are here to tour. What have you noticed touring here, what has worked and what hasn’t, and what do you believe we can learn from the European fans and circuit, to make metal even just slightly better here for bands to feel more secure touring here? The funny thing is, that for us, it’s the other way around. Because touring here has been fantastic (laughs), every single time. We have toured Europe some years ago, so that we are also a bit of different bands too. We will try to tour Europe again. I think because we are a symphonic black metal genre, and I don’t like genre labels, but it has been really overdone in Europe, and it comes from there too. We know and breathe this kind of stuff. You don’t stand out as much? Or it’s that it is just difficult to prove maybe, hey we do something different. I understand that, because there’s so many bands, its unbelievable! And there have been so many bands in the 90s and 2000s too. So what we feel at least, is that American fans really welcome us, and really love us here. And this is our third tour, and everyday it’s amazing. For us, we would love to come here all the time, and to just keep on going on like this. In terms of touring, would it be one more later this year, or sometime next year, that the band will be able to perform a headlining tour in the US? Are there any talks or discussions within the band, and based off the fans and successful tours so far, would the band be ready to do so? Yes. I think so. I think we are ready, and we are currently discussing it. Hopefully the next one will be headlining. But, we want to do it, we want to do it right. Not like, “Okay, let’s play a bit longer!” No, we want to give the people a “Horror Show.” We want to give them something extra, not just a longer setlist. There’s some bands, for example Sabaton, I feel are very different when they support a tour and when they headline. They played a headlining show at the Whisky a couple of years ago, and it was a whole world of difference. I can’t even see them support anymore, because when they headlined, they not only just played longer, but the set list was far more creative and more magical, it’s greatly more personal, having the freedom to do a lot more, and works for them. These are your songs, your ‘children’, those are parts of your life, and have your way to spread them around and play a special kind of show because of it. Exactly. That’s what we want to do. Also now, you can see that we try to upgrade our show too. We have a new banner, we have some new theatrics on stage, and when we would do a headline show, the band is able to bring in as much as they can, to do what we really want to do. Would you be doing that headlining tour when a new record is released? Or is that kind of tour possible to perform before new material comes out? I think a new album would be nice, because then we also have new songs to present, fresh ideas, new stages to build, and even more songs to choose from to play live. I think that we logically would go that route. I’m really happy to see this new extension of the tour continue forth with Rotting Christ, yourselves and Necronomicon. I know the Marduk fans will be disappointed, but the fan bases are still similar and wish to see these bands play, not to mention a longer set for Carach Angren too, so I believe it works and truly happy to see that it is turning out very well. Any words to the fans who still made the effort and showing support for the bands that were able to make it here and perform? I’m very very happy about everything too, and very happy on the road to do these shows. Thank you all for coming out to the shows. We really appreciate that, and we will work hard to deliver every night.